An expert in predator response and adaptive learning in both animals and humans, Dr Andrea Griffin is building new knowledge on the behaviour and biology of invasive species and the reasons behind their ecological success. 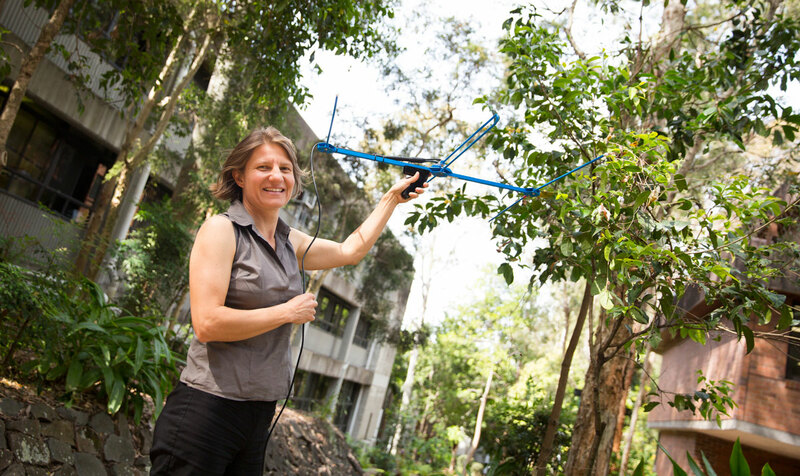 Above: Dr Andrea Griffin with a radio-tracking antenna, used to track radio-tagged common Mynas. A behavioural ecologist and Senior Lecturer in UON’s School of Psychology, Andrea’s work sits at the junction of psychology, zoology, and biology. She is currently investigating the impact of the Common Myna in Australia. In a unique combination of captive and field methodologies, she is focussing on species interactions in the range expansion of Mynas, identifying the historical patterns of the species' Australian range expansion, and measuring their learning and problem solving capacities. Her research has already provided first-time demonstrations of place avoidance learning, predator avoidance learning and solving of novel foraging problems amongst introduced Mynas. Recognised as an international leader in this field, Andrea has authored 46 journal articles and invited book chapters in her field, presented her work at 45 national and international conferences, and delivered 15 national and international guest lectures. Of her publications, 90 per cent are in top-tier Q1 journals in her field and 70 per cent are first-authored. The Common Myna, better known as the Indian Myna, is an introduced species, with a black head, chocolate brown body and yellow legs, beak and eye patch. The Myna is a member of the starling family and not phylogenetically related to the Native Honeyeater, known as the Noisy Miner, despite their similar sounding names and comparable size. The Myna is the most common bird in many of Australia’s Eastern coast cities. In fact, the myna is one of the most successful bird species in the world. Introduced to six of seven continents worldwide, the Myna has been successful on all of them. The Myna adapts particularly well to urbanised areas, where they nest in houses, scavenge for food in outdoor eating areas and soil public facilities. They also gather in large roosts, creating deafening noise and health concerns. In remnant areas of bushland, the Myna inhibits the success of native species due to competition over nesting cavities. On islands where it has been introduced, the Myna is known to predate on native chicks and eggs. The Myna has certainly adapted with remarkable mastery to many different types of environment across its worldwide range. But there are also areas in Australia where, despite climatic conditions being favourable, it has not adapted so well. Andrea wants to know why. “If we know where and why Mynas are not spreading, then we can find the Myna’s Achilles’ heel” says Griffin. With support from the Australian Research Council (ARC), Andrea is conducting collaborative research with Associate Professor Salit Kark from the University of Queensland. In a large-scale interstate, nest box study, the role of species interactions in the range expansion of Mynas is being investigated. This study will address a major gap in our scientific understanding of invasions by undertaking the first large-scale examination of the role of interactions between species in determining the success, dynamics, and rate of biological invasions. Breeding and the competition around nesting resources, and the impact on native species in specific habitats, is a main area of interest. Initially released as a means of controlling insects, several further separate Myna introductions occurred along the east coast of Australia until the 1950s. “That makes for a very interesting system because we have got replicated invasion fronts that we can study,” Andrea explains. Identifying the historical patterns of the species' Australian range expansion is the focus of collaboration with Dr Richard Major, an ornithologist from the Australian Museum and the Australian Centre for Wildlife Genomics. “We are doing a study of genetics to look at how populations are actually connected across Australia,” Andrea says. Another ongoing project for Andrea, with funding from the New South Wales Environmental Trust, is the development of a species-specific oral contraceptive that would make Myna eggs infertile. This humane culling technique would see adult birds live a normal life but eventually die out, along with the species, due to their inability to reproduce. Another management option that Andrea is interested in exploring further is a deterrent that impels the Myna population to permanently move away from a particular roosting area. “We were watching a roost, not far from here actually,” Andrea recalls. “Maybe if we could just facilitate the native raptors being in town?” Andrea says, laughing. Identifying an inhibition to range expansion is one thing, designing a way to replicate a deterrent into a long-term management strategy is another. A biologist by training, Andrea completed her Masters of Science at Lausanne University in Switzerland. Family ties then brought her to Australia, where she was awarded a Vice-Chancellor's Commendation for Outstanding PhD at Macquarie University. Working with Tammar wallabies, Andrea’s doctoral study was focused on training captive-bred or trans located animals to avoid predators, an important survival skill when endangered animals are reintroduced to the wild. Canada was next, where Andrea switched to birds, investigating the benefits of mixed species aggregation between Zenaida Doves and Carib Grackles. In 2006, Andrea was awarded an ARC Postdoctoral Fellowship and began her work on predator avoidance and social learning in the Myna. Andrea has not dedicated her research exclusively to animals. “I have worked with social psychologists because I am interested in predator response learning,” Andrea says. Management techniques are being sought to pre-emptively restrict their further spread, but it is the Myna’s ultimate defeat and possible return of displaced native birds that Andrea is most looking forward to. The depth of her fascination and width of her knowledge makes anything Andrea speaks of infinitely interesting, and she thoroughly enjoys interacting with students. Her skill and passion for teaching have been recognised by a Vice-Chancellor's Citation for Outstanding Contributions to Student Learning. Andrea currently teaches animal behaviour to psychology and environmental science students, and advanced learning to psychology students. She is supervising several post-grad students. “I am an animal ecologist because I find non-humans just absolutely fascinating”, she says. Andrea Griffin's research focuses on the cognitive and behavioural processes that allow animals to adapt to short-term and long-term environmental change. Much of her research involves close collaborations with researchers from the School of Environmental and Life Sciences. The 2015 Excellence for Australia assessment rated the School's research as "above world standard" in the area of Zoology. The University is ranked among the top 250 universities in the world and in the top 10 in Australia in terms of its research income (QS World University Rankings, 2016; Higher Education Research Data Collection 2014). Andrea Griffin's research focuses on the cognitive and behavioural processes that allow animals to adapt to short-term and long-term environmental change and variability. A mid-career level researcher, Andrea has authored 44 journal articles in her field, presented her work at 45 national and international conferences, and delivered 15 national and international guest lectures. 90% of her publications are in top-tier Q1 journals in her field and 70% are first-authored. Her work has been cited nearly 1500 times and she has an h-index (google scholar) of 19. For more information about her research and her research group, please go to http://andreasgriffin.weebly.com/. Andrea's past work has contributed to developing behavioural interventions to improve the reintroduction success of endangered marsupials. More recently, Andrea's research is building new knowledge on the behaviour and biology of invasive species and the reasons behind their ecological success. These knowledge advancements have begun to inform invasive bird management. Andrea is using the highly successful introduced song bird, the common (Indian) myna, as a model system to explore the behavioural and biological traits associated with the range expansion of invaisve birds. Her interests lie in identifying environmental factors that facilitate the range expansion of this species across Eastern Australia, but also those that inhibit its spread. In a unique combination of captive and field methodologies, her research has demonstrated the extraordinary learning and problem solving capacities of this opportunistic songbird, providing first-time demonstrations of place avoidance learning, predator avoidance learning and solving of novel foraging problems. In a large-scale interstate, nest box study, her collaborative research with Associate Professor Kark from the University of Queensland, which is funded by the Australian Research Council, is investigating the role of species interactions in the range expansion of mynas. She is collaborating with Dr Major from the Australian Museum and the Australian Centre for Wildlife Genomics, to identify the historical patterns of the species' Australian range expansion. Andrea is the recipient of a Vice-chancellor's Citation for Outstanding Contributions to Student Learning. Her Student Evaluations of Teaching are consistently above 4.5 out of 5 and often reach the maximum of 5. Andrea has supervised three PhD student to completion and is currently supervising another three. Andrea has supervised 55 research honours students and is currently supervising another three. Andrea serves as associate editor for Proceedings of the Royal Society of London, Series B. She is currently guest editing special issues of the journals Animal Cognition (Cognition in an Anthropogenic world) and Behavioural Processes (Personality and Cognition). She is a regular reviewer for over 10 top journals in her field and several national and international funding agencies, including the Australian Research Council (ARC). She is a committee member of the Australasian Society for the Study of Behaviour (ASSAB, http://www.assab.org/). Andrea regularly assists councils and community groups with advice and recommendations regarding avian pest management. 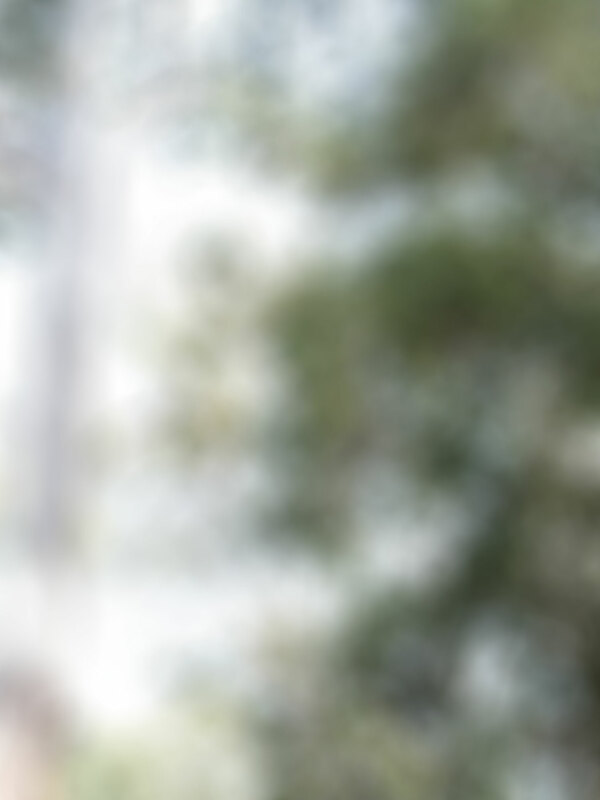 She has delivered public presentations to community pest control groups and has spoken about invasive bird behaviour and management on local radio, in the local press and in the context of the recent 20th Biennale of Sydney (https://www.biennaleofsydney.com.au/20bos/events/transition-talk-marco-chiandetti/). © 2019 Elsevier Ltd Bird damage to commercial crops is a significant problem across the globe, especially for high value crops like wine grapes. Various bird control methods have been developed in the past to reduce bird damage. After a brief review of the current bird damage control strategies, we found the most effective methods, such as netting and hiring a human scarer, rely on intensive manual labour, as well as fragile and costly infrastructure. Whereas the cheaper methods, such as using alarm calls and predator models, are effective for no more than two weeks before the birds habituate to them. We are proposing a novel Unmanned Aerial Vehicle (UAV, more commonly referred to as drone) system incorporating bird psychology for efficient bird damage control. The UAV is equipped with a loud speaker broadcasting distress calls, as well as a crow taxidermy installed on the undercarriage that appears as captured prey. This special UAV configuration is designed to engage birds¿ well-established abilities to learn to recognise and avoid novel predators, thus providing the benefit that a long-term fear response towards the UAV can be expected. The initial trials were carried out in vineyards around south-eastern Australia. Results indicated the UAV can deter large pest birds such as ravens and cockatoos in a 50-m radius centred on the UAV for an extended period of time. The UAV can also effectively deter small pest birds such as silvereyes for brief time periods after exposure to the UAV. It is also evident from the results that while one UAV is sufficient to protect vineyards smaller than 25 ha, multiple UAVs are needed to protect a large vineyard effectively. © 2016 The Association for the Study of Animal Behaviour Animal personality has become a major topic in animal behaviour. Much recent progress has come from the use of the open-field test, which is routinely used to separate individuals into fast and slow explorers. However, there is no standard way to conduct the test and it is unclear whether the test really measures exploration. Here, we addressed these issues by combining an open-field test with a battery of independent assays intended to assess the convergent and discriminant validity of the behavioural traits suggested to measure exploration in the open-field test. Our study subjects were common mynas, Acridotheres tristis, introduced to Australia. The analyses confirmed that the open-field test allows individuals to be separated according to their propensity to explore, mainly through metrics related to spatial and object examination of the novel cage. However, other metrics classically used to describe exploratory behaviour, such as the latency to enter the novel space, reflected shyness rather than exploration. The open-field test can therefore be a powerful tool to investigate personality, but only if the biological meanings of the metrics derived from the test are properly validated with independent behavioural assays. © 2017, Springer-Verlag Berlin Heidelberg. Establishment in urbanized environments is associated with changes in physiology, behaviour, and problem-solving. We compared the speed of learning in urban and rural female common mynas, Acridotheres tristis, using a standard visual discrimination task followed by a reversal learning phase. We also examined how quickly each bird progressed through different stages of learning, including sampling and acquisition within both initial and reversal learning, and persistence following reversal. Based on their reliance on very different food resources, we expected urban mynas to learn and reversal learn more quickly but to sample new contingencies for proportionately longer before learning them. When quantified from first presentation to criterion achievement, urban mynas took more 20-trial blocks to learn the initial discrimination, as well as the reversed contingency, than rural mynas. More detailed analyses at the level of stage revealed that this was because urban mynas explored the novel cue-outcome contingencies for longer, and despite transitioning faster through subsequent acquisition, remained overall slower than rural females. Our findings draw attention to fine adjustments in learning strategies in response to urbanization and caution against interpreting the speed to learn a task as a reflection of cognitive ability. © 2016 The Author(s) Published by the Royal Society. All rights reserved. Animal innovations range from the discovery of novel food types to the invention of completely novel behaviours. Innovations can give access to new opportunities, and thus enable innovating agents to invade and create novel niches. This in turn can pave the way for morphological adaptation and adaptive radiation. The mechanisms that make innovations possible are probably as diverse as the innovations themselves. So too are their evolutionary conse- quences. Perhaps because of this diversity, we lack a unifying framework that links mechanism to function. We propose a framework for animal innovation that describes the interactions between mechanism, fitness benefit and evolutionary significance, and which suggests an expanded range of experimental approaches. In doing so, we split innovation into factors (components and phases) that can be manipulated systematically, and which can be investigated both experimentally and with correlational studies. We apply this framework to a selection of cases, showing how it helps us ask more precise questions and design more revealing experiments. © 2016 The Author. The possibility that variation in the propensity to forage innovatively is attributable to variation in cognition is a matter of debate. Motor flexibility and persistence offer alternative viewpoints. The present study used a computational model to evaluate the relative contribution of these mechanisms to the innovation process. We modeled the effects of low and high motor flexibility on problem-solving performance, which provided a baseline against which to examine how performance changed when combined with operant learning or persistence. We titrated our models through a wide range of parameter values in order to explore where in the outcome space biologically meaningful effect sizes are likely to be detected. The baseline model accurately reproduced an enhancement of performance when relative frequencies of motor expression were balanced (high motor flexibility) rather than skewed (low motor flexibility). Operant learning enhanced performance, but only when agents persisted until they solved and only when motor flexibility was low. In scenarios where agents gave up even if they had not solved, persistence in response to occurrence of secondary cues improved problem solving in both motor flexible and motor inflexible individuals. In scenarios, where the benefits of persistence and learning were compared directly, the benefits of persisting were typically equal, if not greater than those of learning. Given the high metabolic cost of neural tissue, our simulations predict that selection for enhanced problem solving should select for processes that increase persistence (e.g., personality changes) rather than learning. © 2016 The Author(s) Published by the Royal Society. All rights reserved. Innovation and creativity are key defining features of human societies. As we face the global challenges of the twenty-first century, they are also facets upon which we must become increasingly reliant. But what makes Homo sapiens so innovative and where does our high innovation propensity come from? Comparative research on innovativeness in non-human animals allows us to peer back through evolutionary time and investigate the ecological factors that drove the evolution of innovativeness, whereas experimental research identifies and manipulates underpinning creative processes. In commenting on the present theme issue, I highlight the controversies that have typified this research field and show how a paradigmatic shift in our thinking about innovativeness will contribute to resolving these tensions. In the past decade, innovativeness has been considered by many as a trait, a direct product of cognition, and a direct target of selection. The evidence I review here suggests that innovativeness will be hereon viewed as one component, or even an emergent property of a larger array of traits, which have evolved to deal with environmental variation. I illustrate how research should capitalize on taxonomic diversity to unravel the full range of psychological processes that underpin innovativeness in non-human animals. It is now well established that individuals can differ consistently in their average levels of behaviour across different contexts. There have recently been calls to apply the same adaptive framework to interindividual differences in cognition. These calls have culminated in the suggestion that variation in personality and cognition should correlate. We suggest that both these appealing notions are conceptually and logistically problematic. We identify the first crucial step for establishing any cognition-personality relationship. This is to determine the degree to which cognitive abilities yield consistent task performance. We then suggest how to establish whether such consistency exists. Finally, we discuss why formulating predictions about how cognition might be related to personality is much more difficult than is currently realised. © 2014 The Association for the Study of Animal Behaviour. Macro-ecological comparisons have repeatedly demonstrated that the taxonomic distribution of foraging innovations coincides with the ability to adjust to novel and changing environments. We sought to obtain experimental support for the link between innovative foraging and opportunism by measuring the innovation abilities of two highly successful passerines on the east coast of Australia with very different success strategies. The ecological success of the introduced Indian myna, Acridotheres tristis, has been linked to its ability to occupy opportunistically an ecological niche that most natives cannot, whereas the native noisy miner, Manorina melanocephala, owes its success to its ability to aggressively outcompete other avian species. Indian mynas were significantly more neophobic than noisy miners. Yet, when tested on a range of innovative foraging tasks, Indian mynas consistently outperformed noisy miners. The ability to use the beak in a greater range of ways, and more flexibly, was highly repeatable in Indian mynas, and underpinned their superior problem-solving performance. We discuss the results in the light of potential methodological influences, but also the idea that necessity may facilitate innovation not only in less competitive individuals, as is documented in the literature, but also in species with less competitive lifestyles. Foraging innovation occurs when animals exploit novel food sources or invent new foraging techniques. Species vary widely in their rates of innovation, and these differences can be quantified using counts of novel behavior observed in the wild. One of the assumed benefits of innovativeness is that it allows species to exploit a wider variety of habitats and foods, enhancing survival when resources are in shortage or when individuals invade new environments. However, the relationship between innovation propensity and ecological generalism lacks firm empirical support. Moreover, innovativeness does not only imply benefits but may also lead to higher risks incurred in the wide array of habitats exploited. In this study, we test whether innovative species exploit a wider variety of habitats and food types as well as face the potential risk of more predators as a consequence of their ecological generalism. Using data for 193 North American bird species in a phylogenetically informed analysis, we find a significant positive relationship between innovation rate and habitat generalism, but not diet breadth. Although habitat generalism is also associated with exposure to a wider variety of predators, there is no direct relationship between innovation rate and predation. Our results suggest that although innovators use a wider variety of habitats, they are not necessarily diet generalists, challenging the classic view that feeding generalism is equivalent to feeding flexibility. © 2011 The Author. Published by Oxford University Press on behalf of the International Society for Behavioral Ecology. All rights reserved. In Pavlovian conditioning, animals acquire a response to a previously neutral stimulus (conditioned stimulus, CS), such as a light, if that stimulus predicts a biologically important event (unconditioned stimulus, US), such as delivery of food. Learning typically occurs when the CS precedes the US (forward conditioning), and not when the CS follows the US (backward conditioning). In social learning about predators, the predator stimulus is considered to be the CS to which observers acquire avoidance responses after the stimulus has been presented in contiguity with an alarmed demonstrator, the US. We tested the prediction that social learning of response to a predator would occur even if the social alarm cues (the US) appeared before the predatory stimulus (the CS). Carib grackles, Quiscalus lugubris, responded to a familiar predator presented at close range by suppressing alarm calls. Presentation of an unfamiliar avian model (black-and-yellow pigeon) also decreased calling, and this inhibition of calling was enhanced following a training session in which the model stimulus was presented in association with grackle alarm calls. Acquired inhibition of calling was independent of the order of presentation of the model and an alarm chorus. These are the first results to indicate that social acquisition of predator avoidance is not dependent upon a particular temporal relationship between predators and social alarm cues. Evolution may have modified some properties of Pavlovian conditioning to accommodate social learning about potentially dangerous stimuli. © 2004 The Association for the Study of Animal Behaviour. Published by Elsevier Ltd. All rights reserved. In comparison with social learning about food, social learning about predators has received little attention. Yet such research is of potential interest to students of animal cognition and conservation biologists. I summarize evidence for social learning about predators by fish, birds, eutherian mammals, and marsupials. I consider the proposal that this phenomenon is a case of S-S classical conditioning and suggest that evolution may have modified some of the properties of learning to accommodate for the requirements of learning socially about danger. I discuss some between-species differences in the properties of socially acquired predator avoidance and suggest that learning may be faster and more robust in species in which alarm behavior reliably predicts high predatory threat. Finally, I highlight how studies of socially acquired predator avoidance can inform the design of prerelease antipredator training programs for endangered species. Behavioural plasticity allows animals to adjust rapidly to local environmental conditions, but at the risk of erroneously changing behaviour in response to irrelevant events. Adaptive biases or predispositions constrain learning and reduce such potential costs. Preferential learning about complex biologically-meaningful stimuli, such as predators, has been investigated in only a few systems and there have been no experimental tests for the presence of adaptive biases in a marsupial. We have previously shown that tammar wallabies (Macropus eugenii) became fearful of a model fox (Vulpes vulpes) after it was repeatedly paired with an aversive event. Tammars generalized their acquired response to a cat (Fells catus), but not to a non-predator (juvenile goat, Capra hircus), suggesting that they might have a bias to associate predators with frightening events. The present study tested this idea directly. We used an experimental design identical to that of earlier predator-training experiments, but substituted a model goat for the fox as the stimulus predicting a capture attempt. A control group had the same total experience of the goat and of a human with a net, but without any predictive relationship between these two events. We detected no change in behaviour towards the goat, or to any of an array of control stimuli, as a consequence of training. This finding contrasts strongly with the effects of the same pairing procedure using a fox model. Taken together, these studies provide the first evidence for an adaptive predisposition to acquire a fear of predators in marsupials. Learning processes in this group are thus evolutionarily convergent with those previously described in eutherian mammals. Many species modify their behaviour in response to the scents of their predators, but species or populations living without predators may lose such abilities. This loss has been suggested to be irreversible, and to constitute a significant hurdle in restoring historical ecosystems. Olfactory predator recognition was studied in two macropodid marsupials - the tammar wallaby (Macropus eugenii) and the red-necked pademelon (Thylogale thetis). Both species are in the &apos;critical weight range&apos; of Australian native mammals that have been negatively affected by the introduction of novel predators since European settlement. Predator-naive animals were tested by exposing subjects simultaneously to two feeders with either a predator or a herbivore faecal or urine sample beneath the food tray. The presence of predator olfactory cues beneath the feeder did not affect foraging behaviour or feeder use when compared to control stimuli (herbivore faeces or urine). Previous studies have found that predator-experienced herbivorous marsupials modify their behaviour in the presence of predator scents. In contrast, our studies of predator-naïve individuals found no evidence of such selectivity, suggesting that marsupial herbivores may have to learn to modify their behaviour in response to olfactory cues from predators. This implies that the loss of olfactory predator recognition may not be irreversible. Animals translocated from predator-free areas could potentially be trained to recognise the smells of their predator. © 2002 The Zoological Society of London. Predator recognition is often dependent upon experience. This behavioural plasticity can potentially be exploited to enhance the antipredator behaviour of captive-bred animals, but it is first necessary to understand the specificity of learning. We enhanced the responses of tammar wallabies, Macropus eugenii, to a model fox, Vulpes vulpes, by presenting this novel predator in conjunction with a human simulating a capture procedure. A control group had identical total exposure to fox and human, but with no such predictive relationship between these two events. Animals that experienced paired presentations of fox and human behaved more cautiously towards the fox after training than controls. To assess whether this learnt response was specific to the fox, we presented the animals with an array of visual stimuli both before and after training. The tammars generalized their acquired response from the predator with which they were trained to a predator with which they were not trained (cat, Felis catus), but not to a nonpredator (goat, Capra hircus). Tammars also exhibited a transient increase in response to a model wallaby after training. We suggest that this effect is more likely to reflect social behaviour than generalization of the learnt response from predator to conspecific. Two additional controls revealed that changes in behaviour after training were not attributable to the presentation device and were not caused by a general decrease in response threshold associated with training. Our results suggest that tammar wallabies perceive predators as a natural category. © 2001 The Association for the Study of Animal Behaviour. Animal reintroductions and translocations are potentially important interventions to save species from extinction, but most are unsuccessful Mortality due to predation is a principal cause of failure. Animals that have been isolated from predators, either throughout their lifetime or over evolutionary time, may no longer express appropriate antipredator behavior. For this reason, conservation biologists are beginning to include antipredator training in pre-release preparation procedures. We describe the evolutionary and ontogenetic circumstances under which antipredator behavior may degenerate or be lost, and we use principles from learning theory to predict which elements can be enhanced or recovered by training. The empirical literature demonstrates that training can improve antipredator skills, but the effectiveness of such interventions is influenced by a number of constraints. We predict that it will be easier to teach animals to cope with predators if they have experienced ontogenetic isolation than if they have undergone evolutionary isolation. Similarly, animals should learn more easily if they have been evolutionarily isolated from some rather than all predators. Training to a novel predator may be more successful if a species has effective responses to similar predators. In contrast, it may be difficult to teach proper avoidance behavior, or to introduce specialized predator-specific responses, if appropriate motor patterns are not already present. We conclude that pre-release training has the potential to enhance the expression of preexisting antipredator behavior. Potential training techniques involve classical conditioning procedures in which animals learn that model predators are predictors of aversive events. However, wildlife managers should be aware that problems, such as the emergence of inappropriate responses, may arise during such training. We studied the way in which a population of tammar wallabies (Macropus eugenii), which have been isolated from mammalian predators since the last ice age, responded to the sight and sound of historical and ontogenetically and evolutionarily novel predators. Tammars were shown a range of visual stimuli, including taxidermic mounts of two evolutionarily novel predators, a red fox (Vulpes vulpes) and a cat (Felis catus), and a model of an extinct predator, the thylacine (Thylacinus cynocephalus). Controls were a conspecific, the cart on which all mounts were presented, and blank trials in which spontaneous change in behavior was measured. We played back recorded sounds to characterize responses to acoustic cues from predators and to a putative conspecific antipredator signal. Treatments included the howls of dingoes (Canis lupus dingo), an evolutionarily novel predator; calls of a wedge-tailed eagle (Aquila audax), a historical and current predator; and wallaby foot thumps. Controls were the song of an Australian magpie (Gymnorhina tibicen) and a blank trial. After seeing a fox, wallabies thumped their hind feet in alarm, suppressed foraging, and increased looking. The sight of a cat similarly suppressed foraging and increased looking. The sounds of predators did not influence responsiveness, but wallabies foraged less and looked more after thump playbacks. Our results suggest that tammars respond to the sight, but not the sounds, of predators. In contrast, the response to foot thumps demonstrates that this particular sound functions as an antipredator signal. We suggest that responsiveness to visual cues has been preserved under relaxed selection because predator morphology is convergent, but vocalizations are not. Mammals can navigate through path integration (dead reckoning) by updating their position on the basis of internal signals generated during locomotion, without using any external references. However, being open to cumulative errors, path integration remains functional over short excursions only, unless corrected by familiar landmarks. That such a corrective process may occur was examined in golden hamsters during hoarding excursions occurring in darkness, within a large open arena. The subjects proceeded from their peripheral nest to a feeding site on a platform. If the annuals were rotated during food pouching, their subsequent homing behavior was disoriented, self-generated positional information having been disrupted. By contrast, when the subjects were rotated at the food source and then briefly presented with the familiar visual environment, they returned homeward, albeit not very precisely. Thus, the animals may have taken an approximate positional fix or reset their internal compass only. Major, R., Griffin, A.S. & Kark, S.
Invasive species have detrimental effects on human health, the economy and native biodiversity. This study will address a major gap in our scientific understanding of invasions by undertaking the first large-scale examination of the role of interactions between species in determining the success, dynamics and rate of biological invasions. The project will integrate data, across four continents, on dispersal, demography, breeding and behavioural interactions into one framework to create a cutting-edge model of invasion dynamics using the highly invasive common myna as a model system. This novel approach will significantly advance theoretical developments in invasion biology and will inform pest management and threat mitigation globally. Kark, S. Griffin, A.S. Blackburn, T., van Renseburg, B., Lockwood, J.